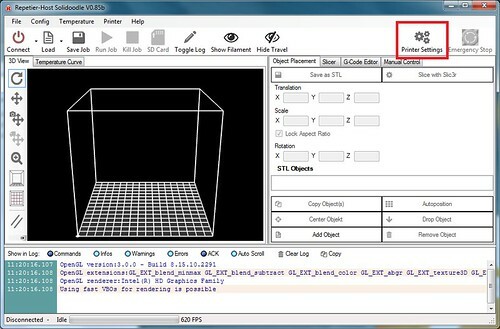 If you are having trouble centering your prints, more than likely, you simply have the wrong Solidoodle model selected in Repetier Host! This will cause your prints to be shifted 1 inch from center in both X and Y. 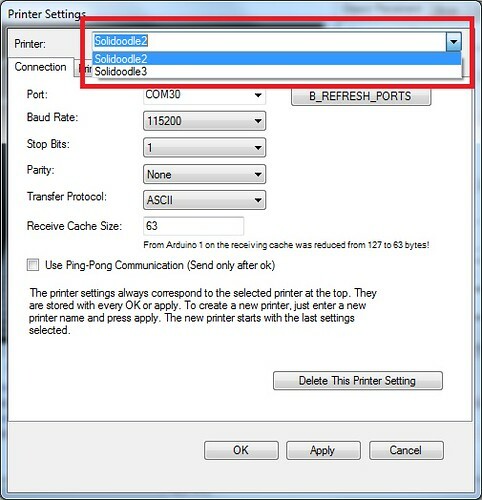 Open Repetier-Host and go to "Printer Settings." Select your model from the drop down menu and click "Apply." The print area in the "3D View" tab should change size. Load an STL, center your model, slice the model and print. If you are still having trouble, please contact moc.eldoodilos|troppus#moc.eldoodilos|troppus.